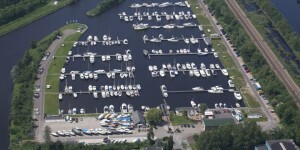 Welcome to the Website of Yachtcharter 2000, a company located in the heart of the province of Friesland. Yachtcharter 2000 is the company you should go for a leisurely cruise. 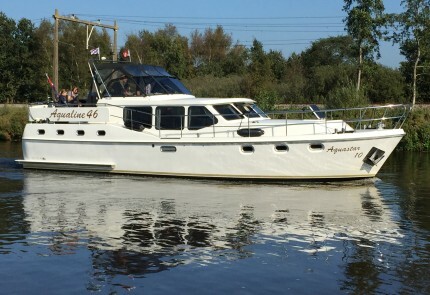 Boat rental in Friesland, the most beautiful province of the Netherlands, can provide you with an absolute perfect holiday. The moment you enter our harbour, you experience the careless feeling that comes with an outdoor holiday. At your arrival you will be kindly welcomed. 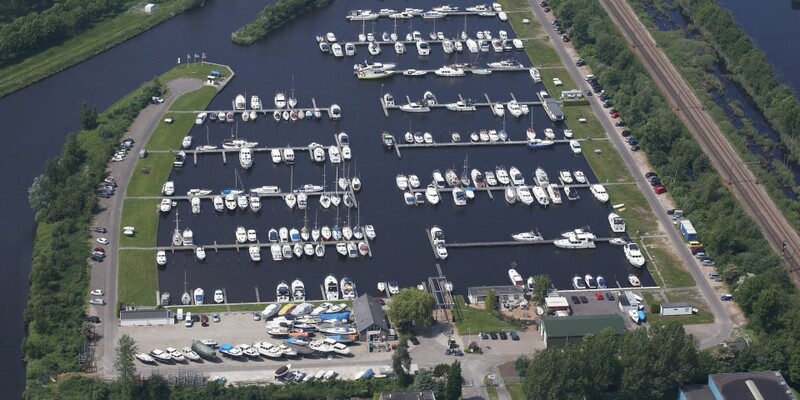 While enjoying your freedom on board of the yacht, which most definitely will feel like home, you will discover the most beautiful sights Friesland has to offer. Boat charter in Friesland will surprise you from the water: still waters, grand lakes, wonderful rivers and canals, scenic traditional landscapes and historical towns and villages. 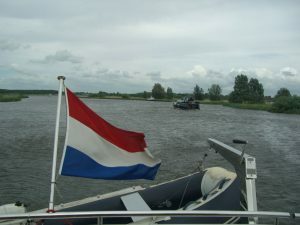 Because of the equal water level in Friesland you will not encounter any difficulty with locks. In the midst of nature you will find countless berths at the many islands among the inviting shores. The Frisian waters cover 110 km² of the entire province, consisting of 17 lakes which are connected by several rivers and canals. Making the Frisian waters a perfect place for aquatic sports. A combination of a quiet surrounding, fresh air and crystal clear water in which you can swim and fish to one’s heart. In most places you will find marinas offering you all kinds of luxuries like: showers, washing machines, fresh water connection, shops and many other things. If nobody on board feels like cooking, you can always go to one of the friendly diners or cosy restaurants. During your holiday you can leave your car at our marina. All of the bed clothes i.e. blankets, sheets, pillow, sleeping bags you will need to bring yourself. The same goes for towels. For a set price we can arrange and provide all this for you. Even the novice sailor gets the hang of it really fast. All of our yachts are equipped with bow thruster and some also have a stern thruster this of course to increase their manoeuvrability. As extra option we offer a little on-board practise to give some basic instructions, to get your holiday started as soon as possible. If you want more experience before getting on board, the company listed below can provide you a practical training for a small fee. You will not need a license for any of our boats. Since a license is only required when the yacht exceeds 15 meters in length or goes faster than 20 km/h. You can bring your own supplies or get them at the local supermarket. Our yachts have a fully comprehensive insurance with an “own risk” maximum €500. Before departure you will need to make a €500 deposit in cash. If the yacht is back on time and without damage the full deposit will be returned. these can be purchased for €10 at our marina. All necessary water charts and almanacs are on board. So of course you will find excellent current water charts and the almanacs part 1 and 2. Part 1 contains all applicable rules and regulations and part 2 with extensive information about all sites, marinas and opening times of bridges and locks (across the whole of the Netherlands). When boarding, we would like to explain a few things. 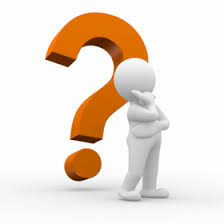 Of course, we can help you in figuring out a suitable route for you. 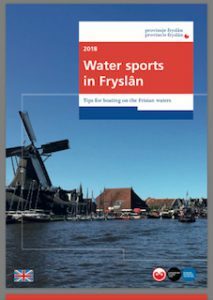 Brochure water sports in Fryslan 2019. The boat rental fleet of Yachtcharter 2000 consist of 16 vessels.